I've long been a Talbots fan. The classic, conservative style is something that really works with my lifestyle. I even remember wearing a gorgeous LBD from Talbots for one of my homecoming dances in high school! This summer, I styled a few pieces for a wear-to-work-then-to-cocktails look (yeah, that's a mouthfull) and this fall, I am excited to style some more pieces. 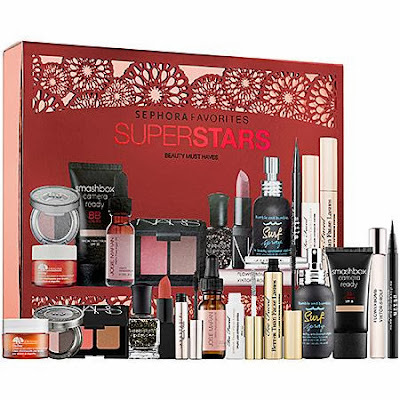 If you are looking to give a gift to someone, then this Sephora Superstars Package is the "it" gift for a gal that has everything. It is totally on my wishlist. I love trying out new products and this package features large samples of the best of the best! Have a fabulous day! Adia Kibur has been on my radar for a while. Her necklaces are beyond stunning. While I am not really a statement necklace person, the use of pearls and simple designs catch my eye (remember when I highlighted this piece?). Not to mention, the prices aren't atrocious like some statement pieces can be. If you scroll through the widget, you can peruse some of my favorite pieces from her collection. The second piece is a strand of gold baubles which really remind me of something I pinned and loved. With the holidays coming up, I think an all black outfit with one of these statement pretties would be a quick and easy outfit for those "I don't have anything to wear" moments (inspiration from this pin and this pin). Have you shopped Adia Kibur? Have a fabulous day! J. 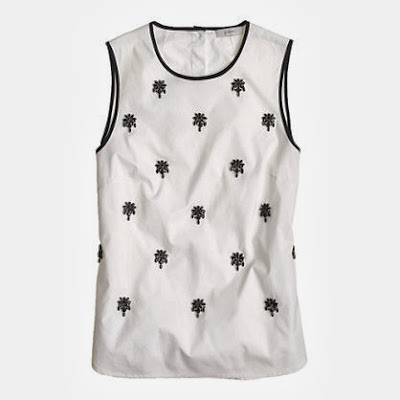 Crew is offering an extra 30% off of sale items using code SHOPNOW. The above J. Crew Jeweled Sateen shell is something I got a few weeks ago and haven't stopped wearing it! I tweeted this photo while hanging out at P.O.V. in D.C. a few weekends ago! After a very long day and also what I wore while meeting with Norman Childs from this post! Scroll through the widget above to see more of my favorite J. Crew sale picks! Have a fabulous day! Last week I had the pleasure of meeting with Norman Childs, the designer and owner of his eponymous eye-wear label. It was great getting to know a Pittsburgh-born brand and visiting the original Eyetique (on Murray Avenue in Squirrel Hill) which Norman opened in 1979. Remember when I Instagrammed these fab frames? I got many e-mails/comments in regards to those Norman Childs originals so I thought it was about time that I paid a visit to the store! (BTW, the sunnies can be found here). There were so many gorgeous frames to choose from. From bright colors to tortoiseshells, there was something to suit anyone's style. And finding a pair that is right for you? That is their specialty! The attention to detail in the store and with customer service is truly phenomenal. The above pair were my favorite! It was so much fun to learn about Norman's entrepreneurial start and get a tour of the store. Not to mention, I got to try on a bunch of different frames from their over 70 different styles. I love that Norman Child's are all manufactured in the U.S. and handmade. Even cooler? If you've been reading Summer Wind for a while, then you know I love anything Pittsburgh related (read about said obsession, here) and Pittsburgh's own Wiz Khalifa wore Norman Childs in his Black and Yellow video. Cool. 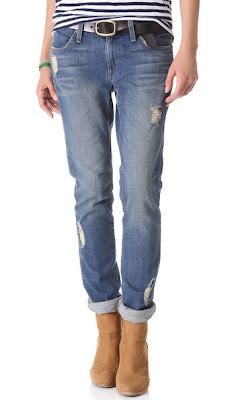 Chromos, a brand started by Norman's son, boasts affordable (only $65! ), high quality and stylish sunglasses. I really like the Luna style! These are perfect for college students because they are high quality for those on a budget! A big thanks to Norman Childs for showing me around the store and showing me some of the gorgeous frames. Have you shopped Norman Childs? Have a fabulous day! I don't know about where you live, but here in Pittsburgh it has been downright cold. It has forced me to prematurely turn on the heat, drink extra hot coffee (but who am I kidding, I'm always drinking coffee) and cozy up in warm sweaters. As I switch my clothes over from summer to fall/winter, I realize that I am in need of some more cozy options. ASOS, a Summer Wind favorite, has some great options that are perfect for snuggling up with your coffee, wearing to a football game or even to work. Scroll through the above widget for some of my favorite cozy options via ASOS. Have a fabulous day! I'm usually a big rule follower. Especially when it comes to the age old rule of not wearing white post Labor Day. However, this year, I decided why not? I paired my white denim with warm fall neutrals which de-summerized (totally just made that word up) the look. I am also obsessed with my Barbour jacket. It is literally the perfect jacket for crisp fall mornings. I wear mine day in and day out. It's a bit of a splurge, but worth every penny! Are you a rule breaker? How do you style your white after Labor Day or is that still a big no in your book? Have a fabulous day! What do you think? A little more casual than I usually go for but I think it's definitely a great lazy weekend outfit. Have a fabulous day! This Milly dress is just too fabulous for words. Especially when paired with this coat. Swoon. 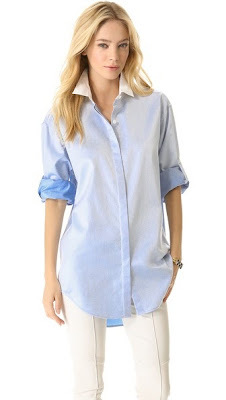 For something a little less pricey and a little more "wear everyday" check out the Summer Wind promotion going on with Country Squire Haberdashery for 35% off! Also be sure to enter the Crystal Faye Giveaway! When I popped up to NYC for fashion week, I blogged about GiGi New York's fabulous All-In-One clutch. After using it all week, I just had to share how I styled it. This clutch is especially fabulous because it can hold: a wallet, iphone, iphone charger and back up battery, lipgloss, and sunglasses. I would categorize my personal style as classic but as of recently, I've been trying to dress a bit more fashionable and sophisticated while still embracing my personal style. I feel like the mixture of fabrics such as leather and cashmere and mix of colors like black + brown break up the preppiness of the cable knit sweater and oxford cloth button down. The emerald green clutch is the perfect fall pop of color in an otherwise neutral ensemble. Susabelle Boutique personalized notepad. Stark Candle. Oh Happy Day Mug/ Eat Blog Love Notepad. I am literally in love with this cute mug and notepad. Crystal Faye was so thoughtful and sent me these surprise goodies. I love that inside the of the notepad on each page it says "Can't forget to blog about" and then has spaces for titles and dates. So perfect for me to have in my handbag while I'm on the go. Scroll to the bottom of this post to enter to win your own mug and notebook! I don't really have a desk... it's more of a counter. With limited space, I have to get creative. Poppin is a fabulous company that specializes in desk supplies. They sent me a few things to try out and I really like their organization systems and fun color choices!